“I am a fully licensed professional massage therapist” – sounds impressive, doesn’t it? Especially in the United States the “professional” title is taken very seriously, and it can be easily defined. 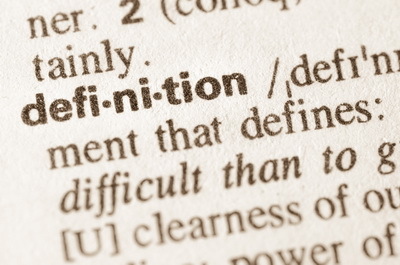 Easy definition – and now you are a real professional. You are licensed in one state but not in another. If you do a massage in this other state, are you still a professional or are you an offender, someone who broke the law? You are licensed in the US, and now you go to a country which has no licensing laws for massage. If you do a massage there, is that a professional or unprofessional massage? You are a licensed massage therapist, and you got into this profession because you know you can make $70.- an hour and that sounded appealing. But now you realize that it is not your calling, and you just don’t have the right touch. I happen to live in Thailand. There are many excellent Thai Massage therapists living in villages who have learned their craft from their mother or a friend. They have never seen an official massage school from the outside, what to speak of from the inside. Recently a neighbor of mine came to me asking for help with her excruciating pain in the upper back. I worked on her, but I did not charge her anything. It was just a goodwill session for a friend and neighbor. Her pain subsided greatly and she was very happy. If I would not have had some official paper that certified me, would that have been an unprofessional massage despite its professional results? You are a highly experienced and qualified long-time therapist. But you let your license expire. What are you now? 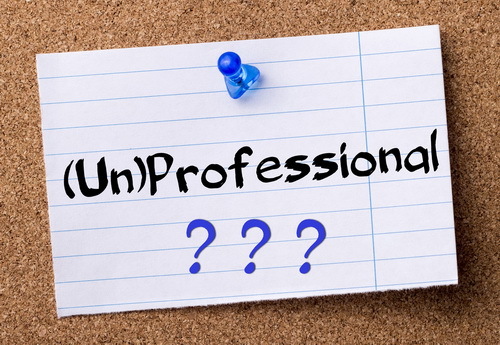 Are you still a professional, or are you an unlicensed professional? Are you unprofessional now, or are you an amateur suddenly? Did your qualification and ability to touch people expire along with your license? “Unprofessional” has a really negative sound to it. It makes you think of a sleazy setup, no official licensing, bad technique, improper touching etc. But looking at the above examples, it becomes obvious that this definition is quite lopsided. 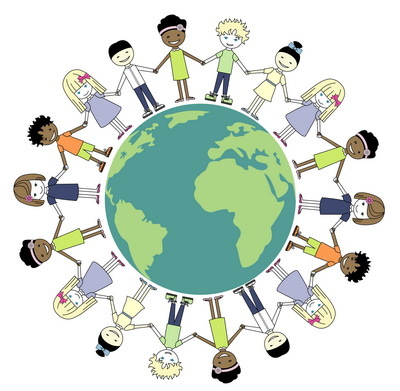 Once you leave such a geographic location – for example your state in the US – then you need to be open to very different standards, ethics, settings, and definitions. The second suggestion is that we all need to be careful, even in our home state in the US, how we define these words. It is not a black and white issue, and it takes a lot more than a piece of paper. It also allows us to travel the world with an open mind without needing to judge others based on our standards. Words and definitions are linked to certain languages, cultures, and laws. They are not universal truths. Often it can be better to decide with our hearts who is a professional massage therapist than with our laws. We might need the laws, but as therapists we will not be able to keep our clients based on a piece of paper. We get to keep them if we greatly expand the definition of “professional” to include many characteristics that cannot be mandated or enforced by laws, but only perceived and applied through our hearts and open minds. The author, Shama Kern, is the founder of Thai Healing Massage Academy and the creator of 20 online Thai Massage training courses. He has been practicing and teaching Thai Massage for 18 years. It seems to me that your last paragraph has the most meaning, in that, terms such as ‘professional’, ‘licensed’ or ‘skilled’ can, with the exception of ‘licensed’, be understood differently depending on context. And I think the distinctions could be important to your point. ‘Licensed’ is easy because it refers to a legal requirement based on some set of predetermined criteria for said profession, in this case massage. One is either licensed or not though that in itself does not make them professional, or skilled. And unfortunately, at least in the US, the licensing process makes little room for experience in lieu of formal education. ‘Professional’, as you have used it, feels as though it sets up a ‘licensed vs skilled’ scenario. For me, the term ‘professional’ refers to a Code-of-Conduct relevant to the context of the situation. It seems important to have a Set-of-Standards that are generally accepted by members of that profession. What is professional conduct in one part of the world may not be in another i.e. talking on a phone during a massage as is common in my experience in Thailand. Still, one can be professional and yet not very skilled, or licensed and not entirely professional. Now who gets to decide those standards and what happens to those that deviate from them? When I think back to massage school I remember having a massage from a woman the first week that made me ask she had been doing this her whole life. And, I had a massage at the end from a man that made me question whether he had been asleep for the entire program. The skill of the practitioner, or as some would call it ‘the gift’, is what we look for in a body-worker but is quite often ‘in the body of the beholder’. Sometimes what is therapeutic for one is useless, or damaging, to another. Even in my own experience I know that my massage or my yoga classes do not reach everyone that comes to me though some have found it to be very powerful. So on a personal level it comes down to mutual respect. Trust flowing in both directions opens the doors to discover true healing. I really do like this article. It puts a different perpestive on words and reality of therapist. When I left school I have done all the work to get licensed. But by no means did I feel professional. However I had a very important tool that was opened for me that made me intuitive. I used the first year after school for practice and volunteering. I worked on folks for free and learned experience. But I also lwarned to be intuitive and listen and feel with my body. Not many poeple do this. I have in the last few years recieved massage from therapist where I live that shouldnt be therapists. And I worked with poeple who have the wrong intention they really dont have the ability to heal. They are in the industry for money. Now I wont lie I did go to school to learn how to be in business but my intention is very different. I really love massage. I love getting it and I love giving it. I love it so much that Im always learning and seeking ways to better myself and learn more. That is why experience works for me. Yes Im Board Certified but only because Western Medicine works well with credentials and integrating doctors nurses any one with these credentiaks helps to encourage trust and help of others. I want to reach accross the isle and get others on board knowing how Thai works and the benefit of it. Its a team effort. That is my goal. So yes having credentials for me builds trust and gets the customers in and work done. But that is also here in Utah. If I were anwhere else I would do what it took to be just as good in my enviroment to help others whether or not I got paid. But I use my money as I make a living and I always pay it forward. Thanks Heather for taking the time to write such a thoughtful contribution. I really understand where you are coming from and appreciate your perspective. Dave, your experiences from massage school made me chuckle. I am writing this from Manila, Philippines, where I had to go on a visa run. I got a couple of massage sessions in a spa right in a major mall. It was all clean and professional, and the therapists were licensed and professional and all that, but both sessions were soul-less. There was no feeling in the touch, and there was no connection. The therapists had been at it for years, but never developed “the touch”. Licensing and professionalism, as you say, do not translate into a great massage necessarily. Some therapists have the gift of a great touch, just like some musicians have the magic touch with their instrument or their voice. I think this can be learned and enhanced to some degree at least, especially if it is taught by someone who does have this “touch”. In the US we have the tendency to equate licensing and professionalism with a quality of massage, but that is really not so. Quality of massage runs on a different track. My most important Thai Massage teacher here in Thailand smokes a lot during his teaching sessions and takes regular naps and sometimes disappears altogether – decidedly non professional from our point of view. But he is still one of the best teachers and students have been coming to him from all over the world for 15 years or so. And they get results. I would call him “excentric” rather than “non professional”. The latter is a western label which just does not fit here in the same way as it does in the West. The point of my article is to stimulate thinking, encourage an open mind and show different ways of thinking and perception. I am not trying to draw lines or set up definitions or make make judgments about what is right or wrong. Thanks for your input, I really appreciate it. I love hearing from you. Please feel free to share your experience and observations on my blog or in the forum any time. It brings a lot of value to the table. Just wanted to let you know that I absolutely appreciate your willingness and courage to put your thoughts forward and allow others to join the dialogue. I did not for a moment feel you were writing from a judgmental point-of-view and I apologize if I gave you that impression. And to your point of one gifted soul assisting another to open, or tune, the gift within themselves I would offer that that is precisely the experience I enjoyed at our meeting and for this I am eternally grateful. I envision my forum and my blog as a place where people can openly share their ideas and opinions. They don’t have to agree with my take on things. I like to discuss concepts that might be a bit unconventional and I really love hearing from other therapists like you. Living in Thailand I feel that I have the freedom to look at massage from both the western and eastern view points. I think this adds to the depth of the subject, although it sometimes diverges from the commonly accepted western model of professional massage. There are a lot of interesting and thought provoking comments on the various articles of my blog, including yours, and I really value that. And thank you for your kind comment in your last paragraph. Although a piece of paper might be required in order to be able to call yourself a professional, especially in the massage world, this piece of paper is only the first step towards professionalism. Here in Thailand, one of my most influential massage teachers did not have any piece of paper documenting his abilities. But nobody ever doubted them. I am not advocating this as a universal standard, but it is important to know that there are many highly skilled and professional therapists in the world who do not have any kind of document. I enjoy your “out-of-box” perspective from different angles. It’s a great “home” to come back to when I want to clarify my thoughts and find words for it. There’s surely lots to resonate, but in the midst of busyness, hard to put them into meaningful sentences. Thanks for sharing! I am glad it resonates with you, thanks for letting me know. This is also a world of business, and right – everyone generally understands the difference between Professional and Non, and what that means depending on what context or profession their referring to. Since words are simply language – the Points in the conversation about ‘professionalism’ being conveyed in the expression or demonstration of the work itself – I agree. Experience of the Therapist is truly what conveys or represents or rather, owns the title. Being responsible, educated, effective and accountable are a few of the qualities of what ‘Professionalism’ in my opinion, means. And to add – no, that doesn’t mean someone without a formal education couldn’t be ‘professional’ – it’s more of a moral definition or statement of character. What I feel all you are communicating as well. Thanks Viola for sharing your take on the “professional” issue. I agree that you have to use one descriptive word to label yourself and your services. I just wanted to provide some food for thought so that our mental boundaries or our definitions are able to expand, which is very important if you, for example, visit Thailand (which is where I live). Speaking of that, today I will go for my usual Sunday massage with an old woman who has no official qualifications but a wonderful touch. Cost is $5 per hour. Can’t beat that! I know, Americans feel compelled to tip much more than other nationals who are less accustomed to tipping like Australians for example who rarely tip in their country. Tipping is not expected in Thailand although it is quite customary to tip in better restaurants and also for massage. Sometimes massage therapists get generous tips and they would certainly never be offended and neither would the locals. However in the case of taxis and similar transportation devices here in Thailand overtipping is not a good idea since you raise the driver’s expectations and train them to think that all foreigners are rich and should be exploited as much as possible. But that’s very different from massage where you get a much more personalized service where quality makes a huge difference. That’s not the case with a cab ride. “Licensing” is mostly due to the need to write receipts for insurances companies who try, at least, that the person is receiving a massage from someone who has a basic idea in the field…and it’s the simplest way for them to know that the therapist has received a “formal training”. Good , bad , gifted,etc…it’s another story. In some countries , the massage it’s not “officially” recognized but ,again, for others, you need to fulfill certain requirements to offer your services. One thing you didn’t mention is that licensing is a big business, and the more licensing requirements there are, the more money can be made by those providing the education. So it’s not that licensing is only for the benefit of insurance companies. This also depends on the country. In the US, for example, most massage therapists don’t like dealing with insurance companies and therefore do not accept insurance clients. Where I live, in Thailand, the licensing has nothing to do with insurance at all since massage is not covered by insurance. Here the licensing is mostly a government effort to raise the standard of the profession and weed out unqualified therapists. In Thailand the licensing is not such a big business since the Thai people (not the foreigners – they pay a lot more) can get a Thai Massage education for very little money. wow”great post!I am always been a Thai Massage fan!It tones the muscle groups systematically and stretches the joints in full range of motion for better athletic performance. I can so relate to what you are saying Lushan. Both of us have a background in Asia where massage is more part of life and not just a regulated industry. In many western countries there are more and more rules being introduced. However you can’t make rules about the spirit of massage, although rules can strangle this spirit. I know many people think that laws and regulations help the massage profession, and I am sure that this is true to some degree, but there is also a dark side to this. The dark side is over-regulation, commercial interests that benefit from those rules, and limitations on 99% of therapists because of the wrong doings of 1% of them. I consider myself fortunate that I am living in a part of the world where massage is still part of life and not subject to ever increasing regulations. I know this is hard to understand for western therapists who only know the western system. But there is something beautiful about massage as a natural and spontaneous expression here in Asia. Your comments are correct. Definitely not all massages in Thailand are good nor do all therapists here have the magic touch. And there is certainly nothing wrong with learning anatomy. Luckily massage therapists are never sued here in Thailand, though! And I do know some excellent Thai Massage teachers in the western world. It is definitely not a black and white issue. However, living in Asia, I can confirm that there is a feeling of ease, about spontaneity, or a natural integration of massage which is generally not the case in the western world. I don’t want to speak for Lushan, but I understand where he is coming from with his comment. There are no formalities, no intake forms, no insurance issues, no appointments needed. You just lie down and get your massage, often in very public places. It’s just fun and convenient and cheap and easy. This is not a judgment where the quality is better or where the therapists are better or where the system is better. It is just an observation of the general feeling or the atmosphere which surrounds massage here in Asia. I am sure if you would visit Thailand you would also find that it is much easier and more fun to have spontaneous massage as part of your life. Since some people learn massage ( or Yoga) in a school, sometimes the ‘master-disciple link’ is missing…how you teach Metta if not practising it in daily life? to explain it intellectually is just a small part of the learning process…let’s say, the beginning. So, in other to treat certain clients, if you donut have the opportunity to acquire a lot of practice/experience, a “western education” may give you some guidelines on how to go about it. But at the end, everything comes to common sense and honesty. And as with food, there are many options…maybe the best massage for you , it’s not the same for someone else. Maybe , at one point , you prefer more pressure, more stretching…may be not. There are so many factors,that only experience, a drive to keep learning and most important, to listen to your clients needs/body, will allow the “magic” to take place. Take care and keep up the good practice. It’s nice to share our thoughts, I can imagine how much you love what you doing with metta , karuna , mudita and upekka. I’m very much agree with your last comments that you made. Thanks again. In the dictionary it says, “following an occupation as a means of livelihood”. Shama, your point seems to be about something else. I’ve had good food made by people who do it for a living, and I have also experienced the opposite. I’ve had great food made by my wife who practices Law as her profession. If my wife had to make the same dish, over and over for the same income that people normally make as a cook in a restaurant, the quality may not be the same as it is when she puts the love in it at home. Not everyone has pure intentions when they choose a profession. However, if we come to understand and practice Wai Khru, our intention will be aligned properly for the benefit of the one that we touch. If this is magic, I believe in magic. You are right, there are many ways to look at this. My intention is to provide some food for thought and to demonstrate that we cannot just look at a subject through the lens of our local laws and our situation. This becomes especially relevant if we travel or live in other parts of the world, like I do.